First, the Militia referred to, who were then, and are now, citizens, not military or police. Second, as you can clearly see, the Second Amendment is necessary to secure a Free State, because without it, as the title of this article suggests, we lose our freedom. Third, the people, that’s you and me my friend, have a right to keep and bear arms. Fourth that right can never be legally infringed upon. That’s why every so-called law restricting this right is Illegal. Meaning if men are debarred the use of arms they are no longer free! Every time another gun regulation becomes an illegal law we lose a little part of our freedom. When guns are gone from the hands of law abiding citizens your entire freedom is gone. It’s is really as simple as that. America has remained the only truly free nation on the planet, because of the protection/threat of the Second Amendment. The following is where America is headed if we continue to allow our State and Federal governments to violate the law and disarm its citizens. Why can’t we just ban guns? Things like this would happen less often if there were no guns. We have enough military and police to protect us. While victims were still in surgery, some took to television and social media to criticize the so-called “outdated” and “dangerous” Second Amendment to the U.S. Constitution. They have lived so long in a safe, stable society that they falsely believe armed citizens are a threat to life and liberty for everyone. When just the opposite is actually true. Catalonia clearly shows the danger of disarming its citizens. Those who claim to see no necessity or benefits of individual gun ownership need only look to the rolling hills of Catalonia, where a live social experiment is currently unfolding right before your eyes. Just hours before a lone deranged man opened fire from the Nevada Mandalay Bay casino, the citizens of a small region surrounding Barcelona, Spain, attempted to cast a vote for their regional independence. Catalonia’s citizens who have a unique different language, culture, and history, and consider Spain as a neighboring power, not their rightful rulers. So just as America’s Continental Congress heroically did (and as Texans and Californians occasionally threaten to do) Catalonia wished to declare independence from Espania and secede. 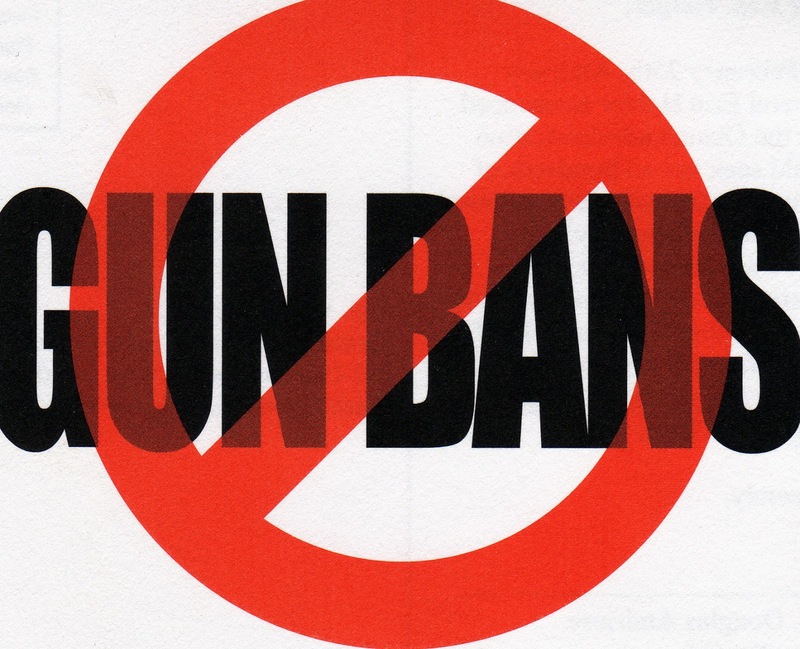 Spain has enacted the kind of restrictions un-American gun control advocates only dream of. Polling stations and voters in Catalonia were attacked by heavily armed agents of the state of Spain with riot gear and pointed rifles. Spanish National Police fired the very guns that the Catalonia taxpayer bought for them, they unleashed tear gas canisters on voters, broke down polling center doors, disrupted the vote, and destroyed enough ballots to throw results into serious doubt. Unfortunately almost none of those would-be Catalonia patriots were armed and as a result they has lost all of their freedom. In Spain, firearm ownership is not a protected individual right. Civilian firearms licenses are restricted to “cases of extreme necessity” and the government decides what a “genuine reason is.” Background checks, medical exams, and license restrictions further restrict access. 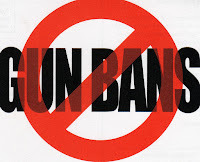 Licenses are granted individually by caliber and model, with semi-automatic weapons strictly forbidden to civilians. Police can demand a citizen produce a firearm at any time for inspection or confiscation. Spain has enacted, the kind of restrictions American gun-control advocates crave. The consequences of a government using force to control those it is sworn to protect are high. But when citizens are armed, the consequences for tyranny rise and its likelihood falls. If you think this can’t happen in the U.S. then you are naive my friend. Read on. Americans have grown too trustful of the State, too ready to assume bureaucrats have only our best interests at heart. The United States Constitution was designed to create the smallest government in the history of the world, with no standing army, and little right to intrude in the private activities of its citizens. Instead, we have allowed our government to ignore the very law that governs them and become the most powerful and intrusive government in human history, with 800 permanent military bases in 70 countries, unfathomable firepower, and staggering surveillance capabilities. Unchecked abuses of power are routine and tolerated. 67 unconstitutional federal agencies, including the IRS and the FDA, have military weapons, according to the OpenTheBooks Oversight Report The Militarization of America. Among the most intrusive programs, including the Tyrannical Department of Homeland Security and the Transportation Safety Authority, keep their weapons budget a secret. Local police, sheriffs, and state troopers have also been armed to wage war against American citizens. Battlefield weapons are being given to state and local police, allegedly to combat drug trafficking (I find it interesting that the drug use has quadrupled since the “War on drugs” began) and to fight terrorist threats at local pumpkin festivals. Military SWAT-style raids are used to serve bogus search warrants given out by corrupt federal judges, but not hostage situations. Relatives and neighbors of alleged criminals have had government agents hold guns to their children’s heads. Violations of civil rights, including illegal searches and the seizure of money and property without evidence of any crime, are commonplace. Moreover this will only escalate my friend. It’s not going away unless you act now not latter. Law enforcement requests military equipment directly from the Pentagon’s war-fighting machine: tanks, machine guns, rocket launchers, tear gas, camouflage, shields, and gas masks. Military equipment is often purchased with so-called civil asset forfeiture and illegal slush funds which many times amounts to outright theft, to bypass legislative appropriations challenges. The high percentage of civilian law enforcement who are military veterans (one in five, by some estimates) sometimes it compounds the cultural risks of treating average Americans like enemy combatants. Showdowns between civilians and heavily armed agents of the state in Waco Texas, Ruby Ridge Idaho, Ferguson, Baltimore, the Oregon Wildlife Refuge, southern Nevada, and at various other political protests across the country should remind us that gun control advocates won’t be reducing the number of guns so much as shifting them all into either federal or criminal hands. THE BOTTOM LINE: The senseless murder in Las Vegas is a frighteningly familiar tragedy. But it wasn’t perpetrated by a gun it was done by a deranged man. So don't say "Americans shouldn't be allowed to buy guns" when what you really mean is "citizens should become helpless and only be allowed to pay for the guns purchased by their rulers." We established however some, although not all its [self-government] important principles The constitutions of most of our States assert, that all power is inherent in the people; that they may exercise it by themselves, in all cases to which they think themselves competent, (as in electing their functionaries executive and legislative, and deciding by a jury of themselves, in all judiciary cases in which any fact is involved,) or they may act by representatives, freely and equally chosen; and that it is their right and duty to be at all times armed. --Thomas Jefferson to John Cartwright, 1824. Memorial Edition 16:45, Lipscomb and Bergh, editors.